Imagine that your college is one of a handful of higher ed institutions in the country to receive a very prestigious award for Excellence in Service. Every person on your campus would feel the pride of such an achievement. Imagine all the ways you could share this exciting news: banners, brochures, Facebook, Twitter, Instagram, and more. 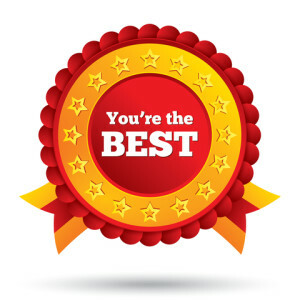 This esteemed designation would most likely become the cornerstone of your recruitment efforts. Now, ask yourself this: Are we offering stellar pre-and post-enrollment service? Do you even know the answer to that question? As an admissions professional, you know how crucial first impressions are. In our national co-sponsored study, Pre-Enrollment Service Study: How customer service delivery during the recruiting cycle influences enrollment, we found that over 53% of students and parents say that the pre-enrollment service they receive from a college influences their selection decision. Whereas most businesses recognize the importance of customer service and laud accolades on those that excel in exemplary service, higher education has not typically made customer service a priority. For instance, how do you think colleges compare with services such as banks, hospitals or even the United States Postal Service? The truth is, all of these industries ranked higher in customer service satisfaction than colleges based on data we collected from thousands of students and parents nationwide. On top of that, more than half of students and parents questioned colleges’ commitment to providing a high level of service. Our study revealed that many colleges are currently flunking out when it comes to pre-enrollment service. Perhaps it’s time we look to other service industries and revisit Customer Service 101. Students and their parents say that service is one of the best ways to distinguish one college from another. The fact is: Prospective students and parents view the pre-enrollment service they receive as predictive of how the student will be served after enrollment. They will avoid colleges that exhibit bad service during the “college shopping” process. Through our Service Quality Management (SQM) studies at large and small, private and public, colleges across the country we have learned that breakdowns in pre-enrollment service delivery often outweigh perceptions of strength in areas such as academic quality, reputation of faculty, program offerings, and even scholarships and financial aid. Conversely, high levels of service often make an institution more attractive because of the perceived likelihood of favorable outcomes brought about through greater attention to the student’s individual needs. Longmire and Company’s Service Quality Management (SQM) tool explores the pre-enrollment customer service experiences that parents and prospective students have with your institution and that of other institutions, and how those experiences either enhanced or diminished their commitment to enrolling. SQM measures service experiences across numerous brand touch points of the institution. The impact on yield of delivering a high level of customer service is astonishing. SQM and the data collected in our recent Excitement Factor national study show how important it is for an institution to deliver sustained and quality contact with students in each stage of the funnel. I can’t emphasize the word “quality” enough. It’s easier than you think to measure the pre-enrollment customer service that you’re providing and how it impacts your yield rate. Many of our clients go through the exercise of measuring customer service across all brand touch points so that they can make an objective case for change to all of the departments that are not providing an ideal, or at least acceptable, level of service. Most people who work on a college campus understand the need to grow and shape enrollment. They often just don’t know how to do it. That’s why we always say that if you don’t measure it you can’t manage it. In our next post, we will continue this conversation with more specific guidelines and tips for helping to improve the level of pre-enrollment service. We want to help colleges seize this opportunity to differentiate and attract more students through better service. 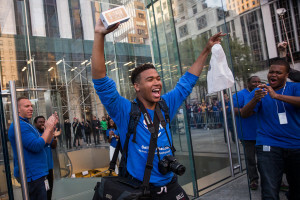 This Friday thousands of people will line up at Apple stores worldwide to purchase the latest edition of the iPhone. And, even though the fervor surrounding this latest product launch doesn’t match that of the first ever iPhone release, industry insiders are estimating this weekend’s sales will top 10 million-10 times more than the first weekend sales of the “original” iPhone. Can we take a page from Apple’s playbook for greater success in higher ed enrollment? Yes. We believe there are two fundamental principles that we can adopt for greater enrollment success. Think about the people who stood in line to purchase the original iPhone. Most of them already owned a cell phone so it was a discretionary purchase. An expensive one at that since the new phone costed as much as 4 times the one they already owned. Most of them had done some research on the product and had likely formulated perfectly rational reasons why they needed this product. But the act of pulling out their wallets or signing on the dotted line was motivated by their desire to have it. The facts, as they perceived them, simply supported their desire. And therein lies a lesson for college admission counselors. In fact, in our recent co-sponsored study on the college selection process, we found that a student’s excitement about attending a particular college outweighed other key factors, such as cost and perceived quality of the institution, by a ratio of 2-1. When prospective students are searching for a college and talking to admission counselors they ask a lot of questions. They need information. They need to know about programs, costs, opportunities and time frames. They need facts. The facts, however, won’t generate excitement. The attraction to the school will come from elsewhere. It may come from a sense of community that they felt on a campus visit. Or it may come from an encounter they had with a professor or another student. Or it may come from an affinity they developed with your college when their brother or sister attended. Ultimately, the student will have an emotional attachment to your college that transcends anything factual. That’s why it’s so important that we appeal to prospective students on an emotional level in addition to providing the necessary factual information. They need more than facts and information from us. As counselors we need to show them what their lives are going to be like as students on our campus and in our community. When we talk to a prospective student, our job is to spark their excitement – to engage their emotional commitment to our college. 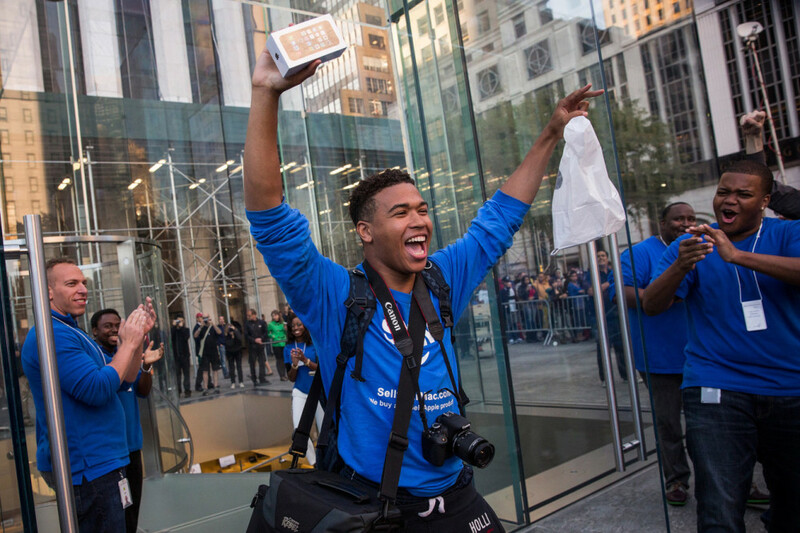 Excitement alone may have driven the frenzy surrounding the first iPhone release, but it is the bond that the company has built with its customers that have made it possible to increase sales tenfold. Your admissions officers work hard to spread the word about your institution during college fairs and at high schools. They lay out the facts and features. Your office most certainly conducts great campus open-houses at which enthused, friendly, and eager staffers speak positively about the great things your school can do for students. You most likely have a focused direct marketing and electronic recruitment strategy. All of this activity is good and necessary, but how do you know which, or if any of these activities are truly generating that moment of excitement, that emotional bond that makes students want to show up on campus day one? This we know: When we effectively develop a relationship with students and create excitement about our college, we become something they just have to have. We are then able to give them what they need and, more importantly, give them what they want. Last year, our team brainstormed a way to share with the higher-education community at-large some of the unique methods we use to help colleges build powerhouse admission departments. The end result was a series of eleven blog posts, “The Counselor Training Series,” that turned out to be quite the crowd-pleaser making these some of the most popular posts in the history of our blog. Just in case you missed it, or if you’d like to review these winning principles, here is a recap of the series that can help you build a championship staff. 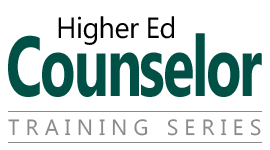 The vast majority of counselors don’t cover a sufficient number of topics with a prospective student. We tell you why you must probe and how to do so effectively. Here’s how you can define your value to students and parents in a truly meaningful way. We show you how to turn questions, concerns, objections and indifference into conversations that lead to enrollment. Get the student to take the next logical step on the path to enrolling. Break out of this trap: The students and parents you’re talking to are hearing the exact same thing from every other college they are considering. Learn this secret from some of the most successful college recruiters in the country. Hint: You can master it, too! Take a page from savvy business builders. Adopt these behaviors into your role as an admission counselor today for immediate results. Step out of your comfort zone and ask questions of students and parents that you have never asked before. The results will surprise you! Colleges and counselors that are most successful at recruiting are masters of understanding each prospective student and generating their excitement. Are You Adding Stress for Your Prospective Students? Here is how you can differentiate your institution by RELIEVING, rather than ADDING, stress to the college selection process. 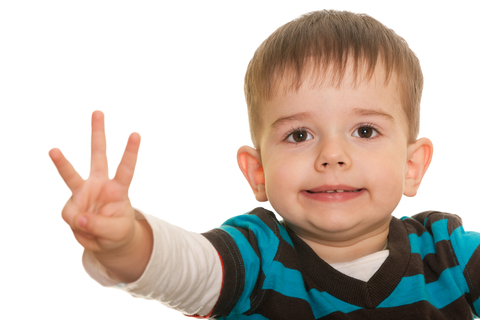 3 Things Prospective Students (and their parents) Want You to Know! Over the next few months you will have many conversations with prospective students and their parents. What better time to offer you some insights we’ve collected from tens of thousands of students and their parents who have shared their thoughts, feelings and viewpoints on the college selection process with us through our national higher education co-sponsored studies? You know that you never get a second chance to make a good first impression. In our national co-sponsored study, “Pre-Enrollment Service: How customer service delivery during the recruiting cycle influences enrollment” we found that over 53% of students and parents say the pre-enrollment service they receive from a college influences their selection decision. They also say that service is one of the best ways to differentiate one college from another. The fact is: Prospective students and parents view the pre-enrollment service they receive as predictive of how the student will be served after enrollment. They will avoid colleges that exhibit bad service during the “college shopping” process. Colleges and universities that score the highest in pre-enrollment service are those that view prospective students and their parents as important customers. They typically engage every person on campus in a customer service plan with clear and actionable instructions and objectives. Most importantly, they express to each person how key their role is, and offer specific ways they can help the institution provide the best possible customer service. Student excitement about a college is enhanced when they perceive that the college has taken a sincere personal interest in them. As a practical matter, the more personal interest you take in a student the more you will find out about his or her unique combination of interests, preferences, desires, anxieties, and aspirations. With that greater understanding you will naturally communicate a unique value proposition. The student will perceive you as unique among their available choices. You will have reached the coveted state of differentiation. With 36% to 42% of students in the public and private pools, respectively, saying that this was influential in their college selection, it underscores the opportunity for colleges to impact enrollment by demonstrating a personal interest in students across every brand touch point of the institution. Yes, cost is a factor, an important one, in the college decision process. But it may not be the driving force you have assumed it is. Actually, less than 27% of the students in our “Value Proposition” study considered cost to be the overriding factor in their ultimate college selection. Just what exactly are prospective students considering when they check out your college? In spite of what the media tells us, students are making their college selection decisions based less on outcomes four or five years down the line and more on what they will experience immediately when they step on campus. Job placement after graduation, for example, ranks fifth on the list of things most important to students and parents in selecting a college. It ranks behind academic quality, availability of specific programs and majors, cost of attending, and their feelings about the campus and students. Only about one-quarter of students indicate that salary after graduation plays an “extremely important” role in their college selection decision. This attitude is pervasive among all students, regardless of intended course of study. Granted, cost and outcomes may be more top of mind for parents. However, both parents and students agree: the student has substantially more influence on college selection. If you are looking for a way to distinguish your college from others, take note: Engaging in a detailed and highly personal discussion of value will set you apart. Again, value has many more components than just cost! Shockingly, only 2 in 10 students and parents say that the college they most seriously considered addressed how it plans to maximize the value received over the course of the student’s time there. The lesson here: More explicit discussions of value and value expectation should take place between prospective students, parents and the colleges they are considering. Admission counselors, financial aid staff, and even faculty should have conversations with students and parents regarding the value they desire and expect to get from the colleges they are considering. The road to graduation is long and has many twists and turns and it all begins with the college shopping process that students are navigating right now. 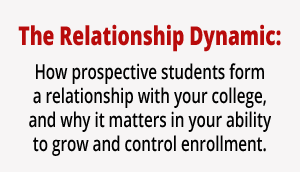 Your challenge is to remain fully and continually connected with them in order to provide the highest level of personal service in all areas that will influence their realization of the full value your college provides. We are helping colleges with their recruiting efforts every day. If I can help you please call or shoot me an email. Continue the conversation on Twitter @LongmireCo. For more information about Longmire and Company’s Interactive Counselor Training Program, click here. Be sure to Subscribe to Versions of Conversion today so you don’t miss any of this highly-valuable information.